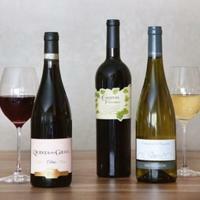 Global Wine Cellars offers 50% Off Your First Wine Club Shipment via coupon code "GLOBALWINE50". Offer applies to your first ongoing Wine Club shipment only: $22.47 for Global Getaway, $45 for Global Discovery and $75 for Global Access, plus shipping and tax. Note: If you wish to pause or cancel your ongoing Wine Club shipments, please contact us. Note that a Wine Club shipment already in progress cannot be cancelled or refunded.